It wasn't the most eventful of NHL trade deadlines, but all things considered it actually could have been worse. Almost all of the pending UFAs we expected to get moved, were moved. The problem for live trade deadline shows was a lot of them were moved before March 1st. Maybe a blockbuster or two could have spiced the day up, but we had plenty of warning that it might not happen. Between the cap crunch and the expansion draft rules, teams were obviously constrained. Trade deadline surprises: Jarome Iginla to LA, given his big contract and lack of productivity this season. It was slightly surprising that Ben Bishop was traded given the weakness of the goalie market and Tampa still within striking distance of the playoffs. The Habs managing to move David Desharnais at all, let alone for a serviceable defenseman in Brandon Davidson, also caught a few people off guard (though I'll note both were on our rumour board lower down). Surprise players that weren't dealt: obviously the top one was Radim Vrbata, as a whole pile of teams expressed interest. He could have been moved, but the Coyotes refused to give him away for cheap and seemed to just run out of time to make a last minute move. Another surprise was Dmitry Kulikov, but his recent injuries appeared to scare teams away. It seemed going into the day that Jaroslav Halak was headed to one of the teams looking for a solid backup, but it wasn't to be. The Avalanche trades will wait after all. It's likely one or both of Matt Duchene and Gabriel Landeskog move this summer, but GM Joe Sakic isn't under any kind of pressure to make those deals. Other than perhaps avoiding some awkwardness for the players. Valtteri Filppula's trade to the Flyers was another interesting storyline. Rumours suggest trades to Toronto and Montreal were vetoed before he ultimately waived to go to Philadelphia. 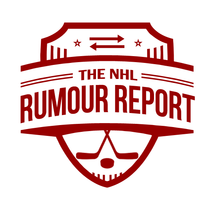 What's next at NHL Rumour Report? Well, after a brief break, we'll be launching the Free Agency Rumour Board. All pending UFAs will be on this board, while rumoured trade candidates (under contract or pending RFA) will stay on the Trade Rumour Board. The next big "trade deadline" is June 17th - the day teams have to declare their protected players before the Vegas expansion draft in late June. We'll have lots more on that in the coming months. In the meantime, teams will continue pursuing non-NHL players and prospects, especially college free agents.